The Bavaria Cruiser 45 combines high speed potential, balanced sailing characteristics and good maneuverability. 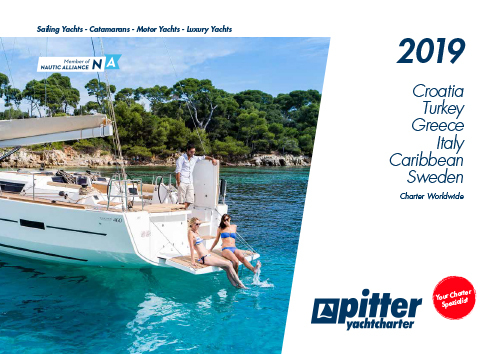 High-speed potential, easy trim, well balanced sailing performance in connection with excellent course stability and manoeuvring performance – these are some of the highlights of the Bavaria Cruiser 45. The yacht’s weight is condensed and due to its double wheel steering system is easily brought to the wind’s edge. The impressive hull and its distinctive design make the Bavaria Cruiser 45 to one of the most modern yachts. Storage space, innovative and detailed solutions are abundant. Below deck the Bavaria Cruiser 45 features innovative design. The layout is designed around comfort and functionality.